Danza in Arte a Pietrasanta is a unique Festival where the performing arts of dance and music blend with the visual arts to arise to a new and engaging universal language that manifests itself outside the traditional theatrical spaces, reaching the viewer in external locations, surprising the audience with unexpected and suggestive performances. 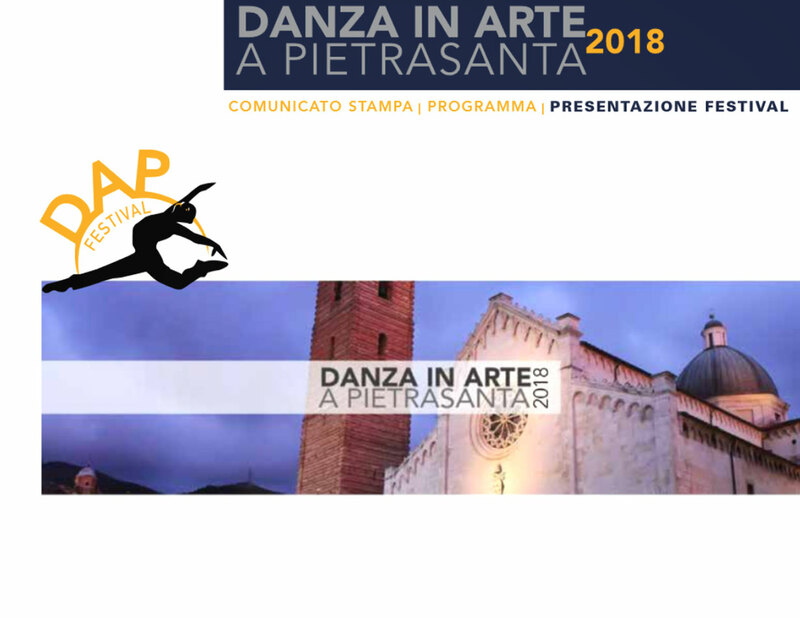 In Pietrasanta, famous for its foundries, marble shops and international galleries, from 17th to 30th of June 2018 the ‘dance of invasion’ takes place, a series of dance raids in the artistic places of the territory. Divided into three sections (choreographic platform, college and artistic project) it is set up as an event of wide media visibility not only in Italy but also in Europe, Russia and the United States of America, thanks to the international imprint of its artistic director Adria Ferrali. The usual summer art exhibition, presented each year by renowned masters of sculpture, within the complex of Sant’Agostino and in Piazza del Duomo, offers itself as a source of inspiration for national and international choreographers and dancers. The final artistic production is presented at the Gran Galà of Dap Festival at the La Versiliana Theater in Marina di Pietrasanta. The Dap Festival, during the year, offers performances, Masterclasses and performances where students, dance companies, scholars and artists share their experience and their culture.